Music class runs from 9:00-9:45am followed by free play from 9:45-10:30am. Coffee and Tea provided! We welcome all family members, price is per child. Enjoy 45 minutes of sing-alongs with Dan the music man, where kids will be invited to participate with song and dance. Shakers, tambourines, and scarves provided! Mat floor seating as well as couch and chair seating for adults. Back family room for feeding and changing diapers is also available. Class & Free play offered every Sunday except for the 1st Sunday of month! 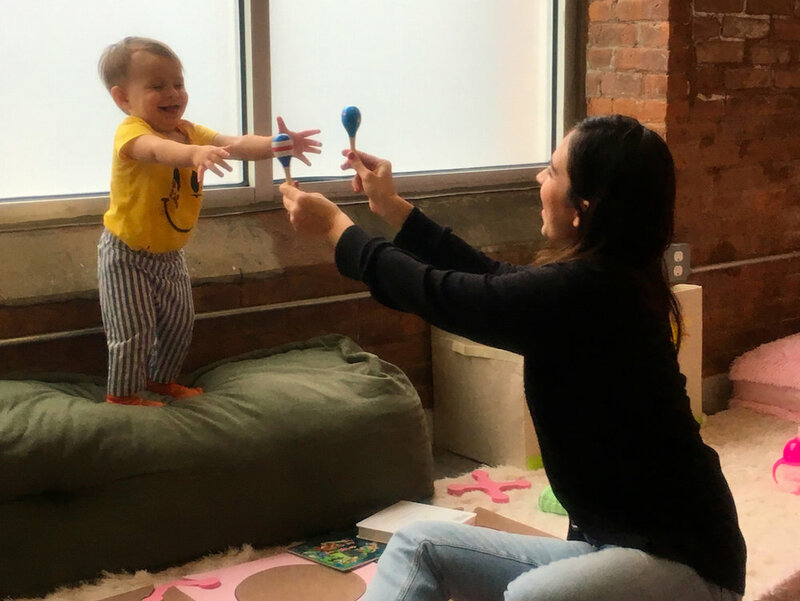 Class is geared for under 5 years old, however can be enjoyed by all ages! Dan the Music Man provides a high energy, interactive song and dance experience for both children and adults. 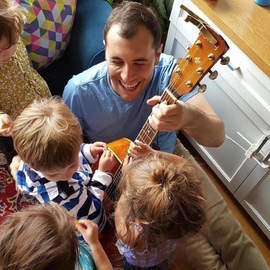 With his guitar, shakers, scarves, bubbles, and parachute, Dan strives to bring the most musical fun and excitement to class! Dan's repertoire spans across multiple genres, touching on classic rock, folk, motown, standards, contemporary pop hits, and classic children's songs. From Raffi to Rolling Stones, AC/DC to Adele, or Beatles to Bruno Mars, there's something for everyone to sing along to!